A traditional blue cheese made in Nottinghamshire to a Stilton recipe, but using unpasteurised cows milk. Cheesemaker Joe Schneider (previously of Daylesford Organic fame) and Randolph Hodgson of Neal's Yard Dairy joined forces in 2006 to make a new cheese. 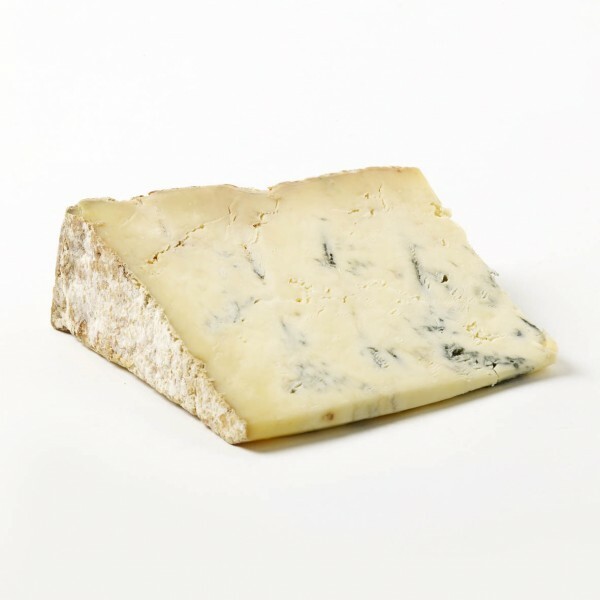 Their aim was to produce a classic blue cheese using a traditional Stilton recipe but made from unpasteurised milk. Joe set up a purpose built dairy at Collingthwaite Farm on the Welbeck Estate on the northern borders of Sherwood Forest in Nottinghamshire and all the milk comes from the herd of 150 Friesian-Holstein cows there. The advantage of having the dairy and the cheese making facility located so close together is that milk can be used when it most fresh. The herd is milked twice every day and the milk is pumped directly into the cheese making vats early in the morning. It takes approximately 70 litres of milk to make each Stichelton cheese. It is made using very small quantities of starter culture and rennet, and as a result the acidification is very slow and the curds are very delicate. The curds are hand ladled onto a trolley for milling and salting before being put into hoops. Joe maintains that the hand ladling ensures the fragile curds are not broken which is vital for producing the final texture. The cheeses are matured for about 6 weeks before being pierced with stainless steel needles to allow the air to get through the cheese and the blueing to form. They are then turned twice weekly for a further 6-8 weeks to ensure consistent maturation. The resulting cheese has deliciously complex flavours that change with the seasons and develop with age. The texture is creamy and buttery. Spicy notes come through from the blueing which sit alongside nutty, savoury and milky, sweet flavours. The name Stichelton is taken from the original name of the village of Stilton, used in the 13th Century Lincoln Rolls. Despite being made to a traditional Stilton recipe, the cheese cannot use the name Stilton as it is made with unpasteurised milk. Stilton is a Protected Designation of Origin (PDO) status cheese and amongst other things, this PDO specifies that the cheese has to be made with pasteurised milk.